A week living in a place where it feels like time has stopped. 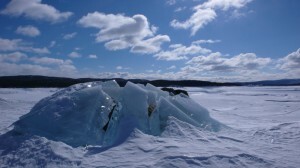 Obviously every year Nature renews itself, the ice and snow melt and there is an ice-free area ready for new hatchlings. An apocalyptic landscape marked every year by the migration of the birds and the descent into the valley of the reindeer who arrive in order to give birth to their young. Our first meeting will be in the beautiful town of Roros in Norway. 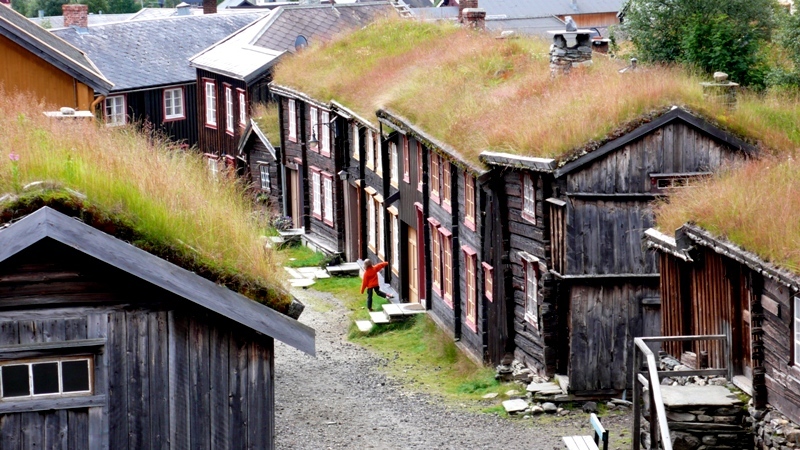 A small town, not to be missed, which is characterized by its wooden houses some with ‘living’ roofs. During the summer, when they are free from snow, the roofs are covered with beautiful Orchids and Wild Herbs. This mining town, which is a Unesco Heritage site, welcomes us by sharing its atmosphere of celebratory warmth as its first Summer tables start to open. Your first night will be spent in a lovely hotel and then the next day we begin with a tour of Roros. As soon as you open the hotel’s front door in the morning, it feels as if you are immersed in the Garden of Eden. It’s hard to open your eyes – the bright light is so beautiful – here in the North the Sun starts shining from four in the morning. It is like a divine light that falls onto the countryside and colours the fields which have been only monochrome throughout the long winters. After the city tour, we cross the state line into Sweden. In the period between June and July the landscape is constantly changing. 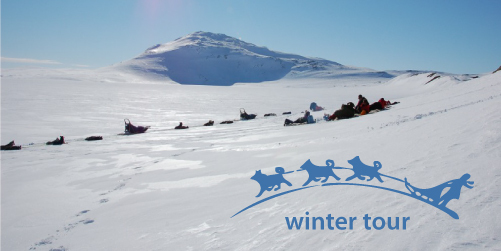 The waterfalls begin to flow and it is the season when the Reindeer appear, they are brought down from the higher ground and monitored by the Sami farmers. Those who choose to visit in this season will discover unspoilt nature which has been profoundly transformed from its Winter appearance. It is a dramatic moment after the ice has freed the land from its thick blanket of snow and the landscape and everything living in it begins to flourish again. The Summers are short and this is the time when the animals and the plants have to implement the changes necessary to ensure the survival of their species. The weather could change suddenly at any moment and the animals must always be ready to disappear again after the parenthesis of Summer. 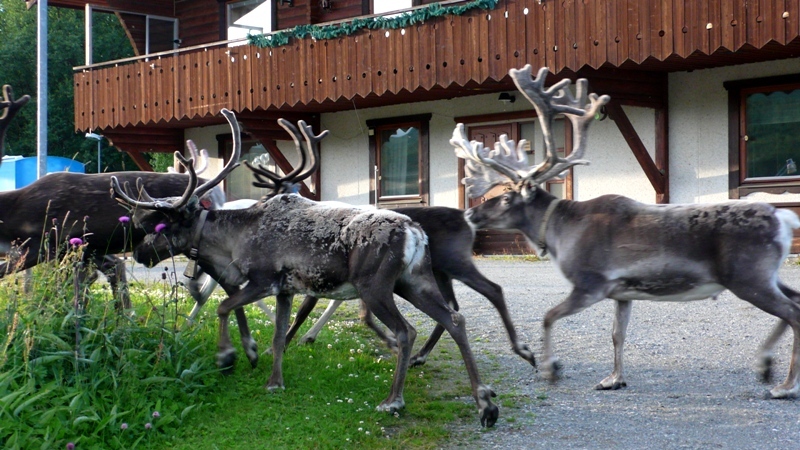 You will often meet animals when you are travelling along the roads, Reindeer with their young in tow, and Elk with their shy and wary glances. Your rooms are in traditional cottages which help you to immediately feel part of nature and the countryside around you. 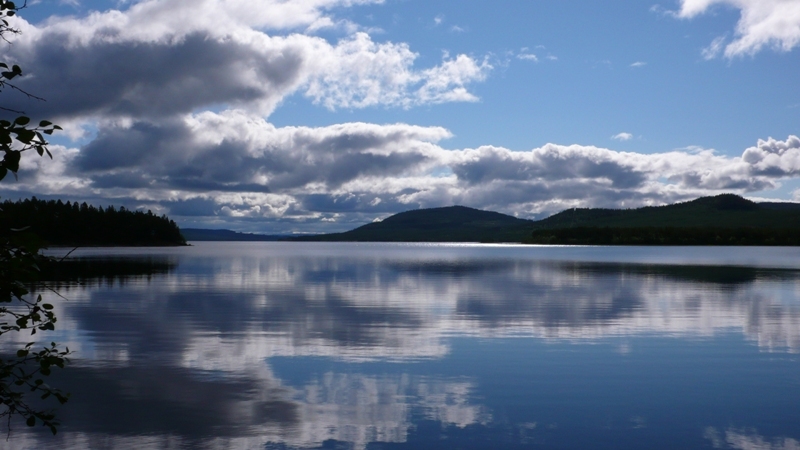 The cottages are beautiful, comfortable and immersed in the landscape of Swedish Lapland which is characterized by large lakes and total silence. Some of the cottages can be accessed only on foot, there are no roads. This gives your holiday a special atmosphere, like in a fairy tale where you fall asleep in front of the warm fire burning in the fireplace while outside there is only birdsong or a complete silence. Each cottage features a sauna and a veranda, and with its wonderful views, it is the ideal place to enjoy a well-deserved relaxing break. But why do we mention the Ice Age and the Midnight Sun? At this time of year we enter the Summer solstice when the days, especially at these latitudes, never really turn into a full night. There is only a sort of twilight between two and four in the morning and it is easy to go walking around the streets at night as if it were daytime. 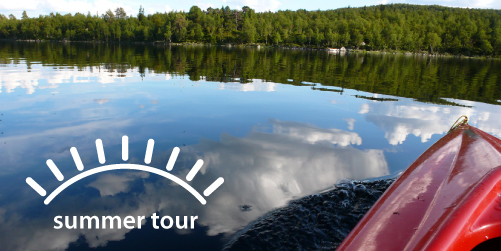 The excursions that we offer are always during the daytime and take place in the middle part of the day. This region has been preserved in almost a primitive state. The landscape is characterized by Moraine (glacial debris of soil and rocks) and residue from the Ice Age such as fossils and driftwood. When Spring starts the landscape undergoes a transformation which can be seen beautifully reflected in the immense Scandinavian lakes. Lose yourself in this wonderful landscape and walk between the stunning expanses of water whilst enjoying the silence of Nature. Immerse yourself in the mysterious atmosphere, where it feels as though you have jumped back in time to a period from Earth’s past. You can feel the wind and watch the Cranes begin their flight across the sky and then rest for a while amongst this unspoilt landscape. The Rogen Nature Reserve is our goal, a hundred miles of pristine wilderness. Wherever it is possible, we walk on foot, otherwise we use snowshoes to move more easily over the terrain. You do not need any special skills to participate in this type of excursion, only a predisposition towards experiencing total ‘silence’, a love of open spaces and the ability to be adaptable. The temperatures in June range from -1 to 14 degrees above zero. The days are usually beautiful and sunny but there may be times when there is a temporary snow fall or a short period of rain.. This program is similar to “Between heaven and earth” which you can find in another section of this website. We specify ‘similar’ because despite following the same routes the landscape is visibly different in every season and the decision as to the exact routes followed will take into account the feasibility of the various routes, the state of their paths, roads etc and any sudden changes in temperature which may happen at this time of year. 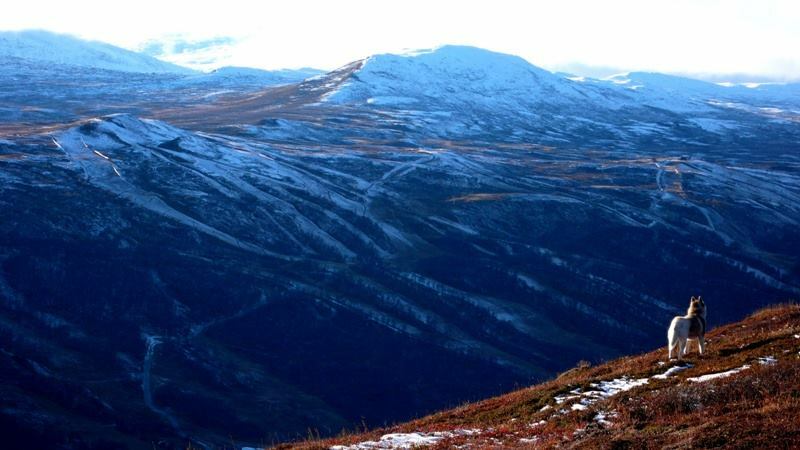 We enter the reserve in the hope of meeting the last living animal from the Ice Age, the Musk Ox, which lives in this region, and through the help of local associations that take care of the species, continues to reproduce, whereas previously this animal had a risk of extinction. 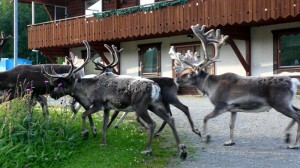 These animals live in herds, in some areas of the county particularly ‘Harjedalen, they are also monitored by veterinarians and animal experts. Recently, some specimens were reintroduced into their natural environment and the Swedish National television filmed the event. It’s always a thrill to see these animals living free according to their natural instincts, just as they did long ago, when the men who first men crossed these remote places considered these animals to be divine.